In 2012, 37 actors, writers and directors protested the fact that Shakespeare’s Globe had invited Habima, the national theatre of Israel, to take part in its Globe to Globe festival. The specific ground for the protest was that Habima regularly performs in Ariel, the largest of Israel’s illegal settlements in the Occupied Territories. 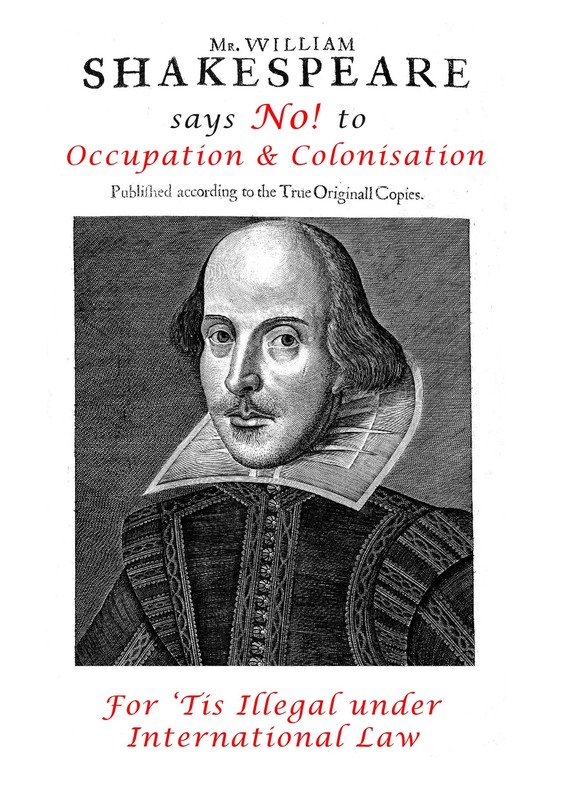 A letter signed by the 37, including Mark Rylance who was Dromgoole’s predecessor as artistic director at the Globe, attracted considerable media attention and gave impetus to the cultural boycott campaign which is now supported by growing numbers of artists in all fields. Four years on, the management of the Globe can be in no doubt that adding the Cameri theatre to its schedule attracts at least as much opprobrium as the invitation to Habima in 2012. Israel’s main cultural institutions, such as Cameri and Habima, refuse to stand against the state’s policies of illegal occupation, denial of refugees’ right of return and discrimination against its Palestinian citizens. Instead they allow culture and art to work in the service of that state. They do this by performing in the illegal settlements (Cameri has forced actors to perform in the settlements or lose their jobs), by giving special performances for the military and by enthusiastically serving as cultural ambassadors presenting a fraudulent image of Israel overseas. Palestinian artists ask their international counterparts not to engage with these deeply compromised institutions. The Globe’s proposed performance in Tel Aviv is precisely what they have been asked not to do. The Globe has doubtless been under pressure to take their ‘Hamlet’ to Israel. There’s been critical comment in the Israeli press about their failure to do so, two years after the tour started, and even though the Globe doesn’t receive a government subsidy, it is quite likely that in the current political climate, there has been pressure on them from the UK government. But the issues are clear: Cameri, like Habima, performs in Ariel. Ariel remains an illegal settlement, built on stolen land and protected by an army of occupation. Whatever pressure the Globe is under, international law and the rights of the Palestinians can’t simply be brushed aside. See below a press release from Artists for Palestine UK, including the full text of the letter to Dromgoole. Senior theatre figures, and theatre and cultural groups from across Palestine, have asked Shakespeare’s Globe theatre not to perform at the Cameri Theatre in Tel Aviv. The performance, only recently arranged, is scheduled for March 30th. In a letter addressed to Globe artistic director Dominic Dromgoole, the signatories point out that the Cameri Theatre has performed repeatedly in Ariel, the largest illegal Israeli settlement in the Occupied Palestinian Territories. The construction of Israeli settlements on occupied Palestinian land violates international law, and amounts to a war crime. The 2 year ‘Globe to Globe Hamlet’ tour is due to visit most countries in the world. Originally Israel was not on the schedule, but it seems that pressure has been applied to get the Tel Aviv trip added to the programme. The Globe is proud of performances in a Syrian refugee camp, and in the ‘Jungle’ at Calais. In Israel it is the Palestinian refugees who are the dispossessed. But the Globe chooses to perform at the theatre of a company complicit in their exclusion from their own country. The letter is addressed to Dominic Dromgoole, the Globe’s Artistic Director, and copied to Tom Bird, Executive Producer at the Globe, and responsible for the Globe-to-Globe Hamlet tour. Dromgoole is due to step down as artistic director next month after 10 years in the role. Many Israeli artists and performers have protested about performances in Ariel, and have refused to appear there. We are disappointed that the Globe appears to have succumbed to Israeli blandishments or pressure in including the Cameri theatre in the touring schedule for ‘Hamlet’ on March 30. 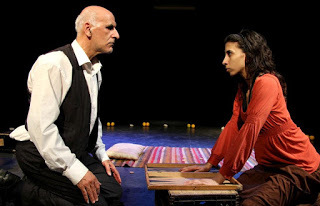 Theatre director Peter Brook, in September 2012, declined an invitation to take his company to visit Cameri because, by playing in Ariel, that theatre had ‘accepted to support the brutal action of colonisation’ and therefore ‘in coming to your theatre we would appear as a support for that brutal action’. He acknowledged those artists and other Israelis ‘who share our attitude’ and said ‘it is them we wish to support as well as the people of Palestine’.